The purpose of the Parish Council is to protect the interests and well-being of the local community. Councillors do this by representing the local community's views in response to plans and proposals made by others, by delivering certain services in accordance with local needs and to try to improve the quality of life in the Parish. Each year the Parish Council requests from Durham County Council a sum of money (called 'the precept') which is collected through the council tax system. This money is used by the Parish Council to perform its role described above. In addition, the Parish Council has sole responsibility for the provision of the village bus shelter and for cutting the village's communal grassed areas. 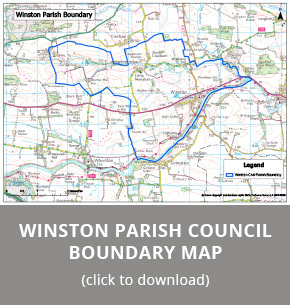 Winston Parish Council meets on the 2nd Thursday of every month at 7pm in Winston Village Hall. Future meetings are displayed in the Meetings Calendar and Minutes of the all meetings are available for your viewing. Members of the public are welcome to attend Parish Council meetings. A copy of the next Parish Council agenda along with the previous minutes are displayed on the noticeboard outside the Village Hall as well as stored on this website. On Thursday 11th August 2016 Winston Parish Council were delighted to be awarded the Foundation Level Quality Award by Mr Dennis Coates, Chair of the National Accreditation Panel. 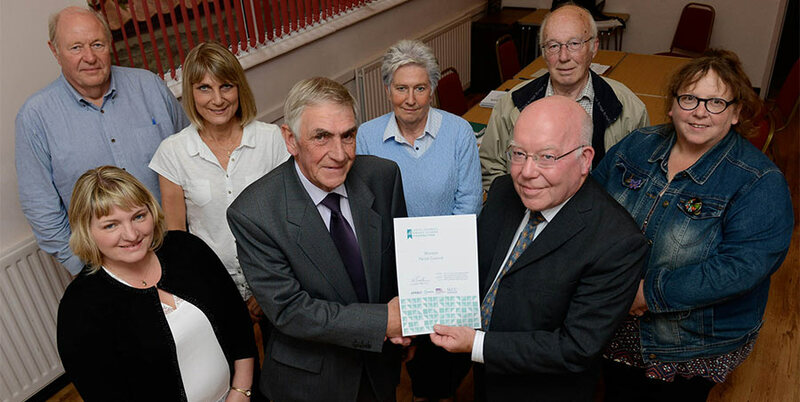 Winston Parish Council is, to date, the smallest Parish Council in County Durham to achieve this Award. The Parish Council have been working towards this Award over many months. All local councils want to serve their local communities and make a real difference to the lives of the people that live there. The Local Council Award Scheme offers councils the opportunity to show that they meet the standards set by the sector, assessed by their peers, and to put in place the conditions for continued improvement.